One of my favorite activities with my granddaughter is when we “do art.” We bring out the huge tub of glue, glitter, construction paper, googly eyeballs, pom-poms, markers, pencils, crayons, coloring books, stickers, pipe cleaners, and beads and just create. The creations don’t have to make sense – and they usually don’t – but it’s during these times that she really talks. Our hands are busy and our eyes are focused on the task at hand, but our minds and mouths are free to wander. Not everything she says makes sense, and there is a lot of giggling, but that’s when I learn the most about her life away from me. April Becker at Hope Tree Family Therapy uses this same foundation in her art therapy program. April is a marriage and family therapist who has always had a passion for working with children and their families. She focuses on family therapy, parenting support, play therapy, and adolescent therapy. She has been in practice since 2012 and opened Hope Tree a little over a year ago. “Art therapy can reach areas that words cannot,” she said. 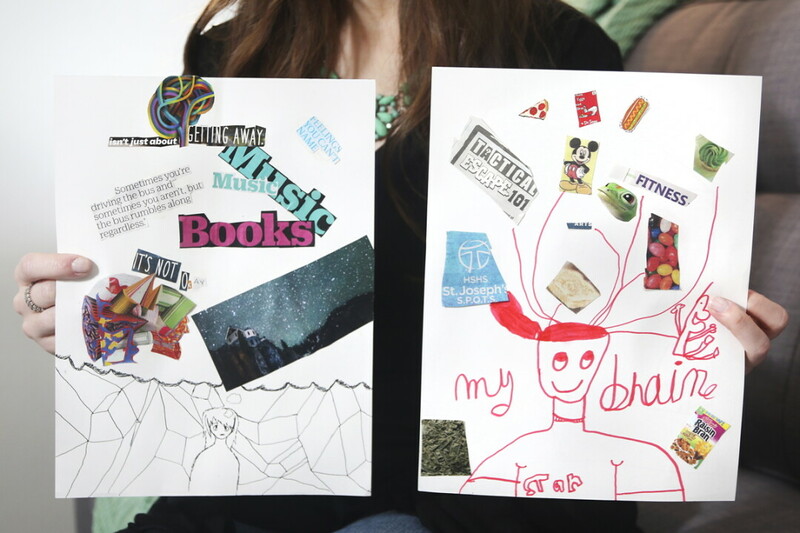 “It can resonate in a different way than words can.” Some kids won’t connect with art therapy because they don’t feel they have the tools to do it, but most do connect with it, she explained. “We are creative beings, and when working towards finding solutions (to life’s problems) we need to be able to tap into a creative part of ourselves to achieve positive, long-standing change,” she said. Patients may not have the ability to verbalize their feelings or may even feel discomfort talking. In these situations, art therapy in the forms of clay, games, painting, drawing, and collage can draw out those feelings. Then April is able to follow up with questions. “Art can be more descriptive when words can’t do justice,” she explained. 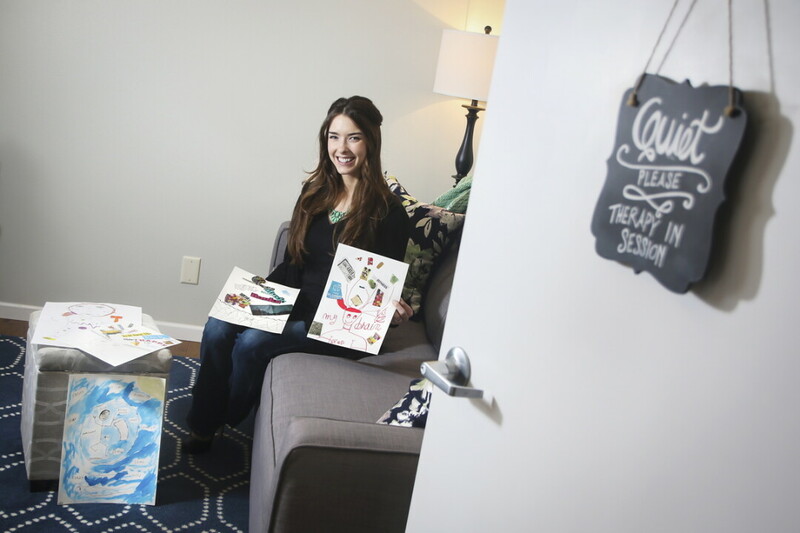 Success with art therapy has been favorable for April, helping her to reach greater depths with patients. She shared with me a piece of art a middle school-aged child created, which represents the beginning of therapy and one year later. The difference was dramatic: Colors and images at the beginning of therapy were dark and barren; one year later, they were bright and full. It was quite striking, with feelings of sadness making way for hope and happiness.